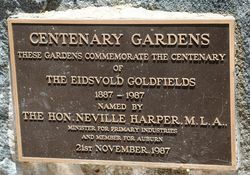 The Centenary Gardens commemorate the centenary of the Eidsvold goldfields from 1887 to 1987. 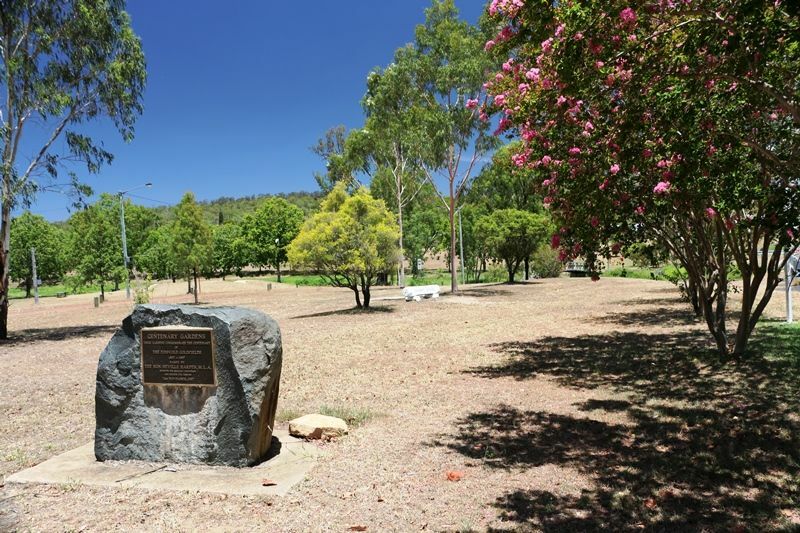 The town of Eidsvold was established as a mining town in the late 1880s. Gold was discovered in the region as early as the 1850s, but mining did not occur on a large scale until 1886, after the discovery of the Mount Rose reef. The field developed quickly and consisted of a number of individual mines, including Mount Rose, Junction, Lady Augusta, The Minerva and Bonanza. 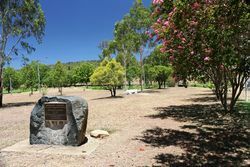 The town of Eidsvold was established below the field, although it was named after Eidsvold Station, established by Thomas Archer in 1848. 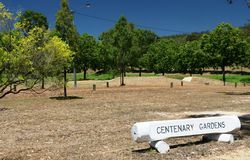 By the late 1880s, the town’s population, including miners, was close to 2000. The mining boom was short-lived however; gold production steadily fell up to 1900. Sporadic mining has continued on the field since this time, including the re-mining of the former Mount Rose Battery site. The Hon. Neville Harper, M. L. A.